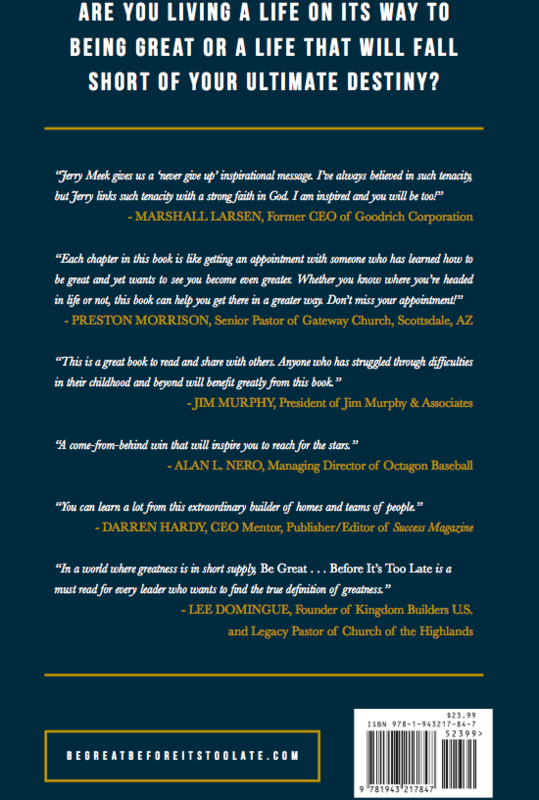 Author's New Book Challenges Readers to "Be Great ...Before It's Too Late"
Jerry Meek, author and president of award-winning custom luxury home builder Desert Star Construction, Inc. (DSC), is sending a wake-up call to readers, challenging them to consider whether they are living a life of greatness or a life that falls short of their destiny and ultimate fulfillment. “BE GREAT…Before It’s Too Late” is Meek’s second book and his first publication with the support of The Fedd Agency. Readers will discover complete stories detailing not only his personal struggles and triumphs, but the lives of people, both well-known and some not, who persisted in the pursuit of their life purpose at all cost and now serve as an example that greatness is available to all. Divided into three sections, the book examines What Greatness Is Not, Tools For Greatness and What Greatness Is. Each section presents personal stories that are interwoven with inspiration and practical teachings from John Maxwell, Darren Hardy, 9/11 first responders and ends with questions for further personal reflection and a pathway to discover one’s own individual greatness. JERRY MEEK is a man on a mission who loves people. He has a gift for integrating what he learns into his life and business. 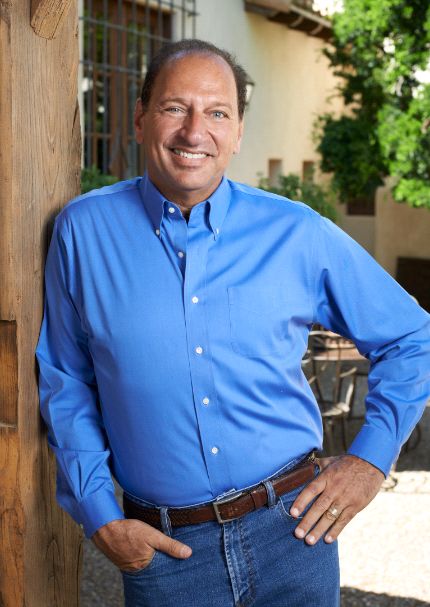 Jerry Meek is president of Desert Star Construction, Inc. (DSC), which is currently celebrating its 40th year in business. Jerry may have something in common with you. He has overcome poor health and the death of a child, and he started his career with a high school education and no money at eighteen years old. Today, DSC builds Personal Resorts® for the most financially successful people in the world. 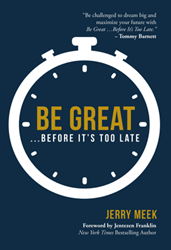 Jerry is the author of BE GREAT …Before It’s Too Late and TEAM BUILDER TOOLBOX®: 13 Tools To Build The Power Of Your Team. Jerry and his wife of thirty-seven years, Carol, reside in Cave Creek, Arizona, and their two grown sons live nearby in the greater Phoenix area. Visit Jerry on the web at BEGREATBEFOREITSTOOLATE.com. You can also follow Jerry on Facebook and Instagram.